Sift flour, baking powder, salt, and cinnamon: place in freezer. In a separate bowl, place butter, crisco, and cutting utensils, put in freezer. Go play for an hour. Grate the butter and crisco then cut them into the dry ingredients. Sprinkle the cold liquids onto the flour- oil mixture, mixing as little as possible, until the dough will hold together, but is not sticky. Wrap dough in wax paper, refrigerate for at least one hour. 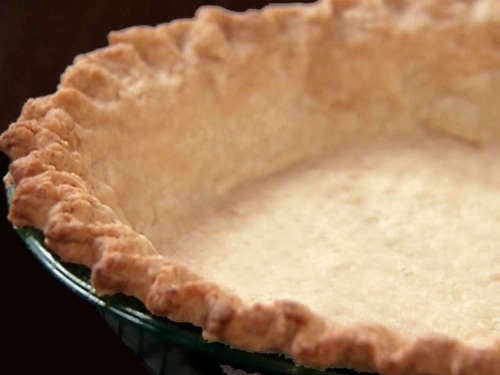 Roll the dough on a floured surface and fill with any of your favorite pie fillings.